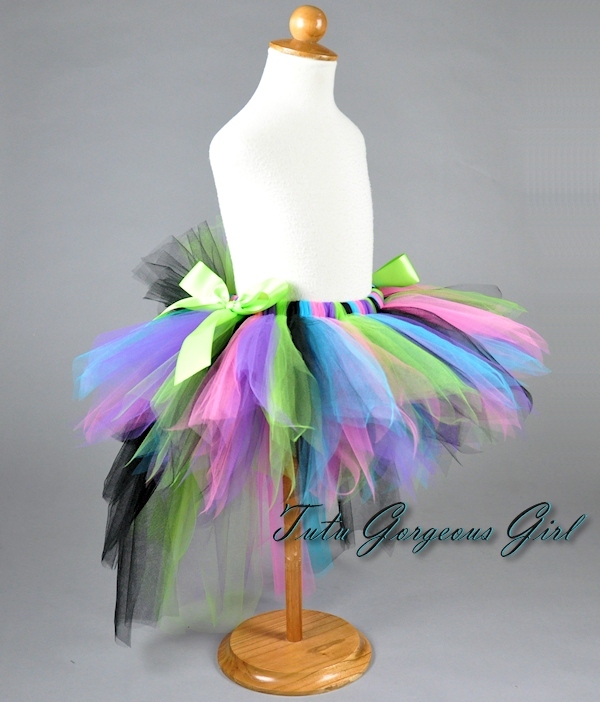 Rock Princess bustle tutu for baby, girls and women. 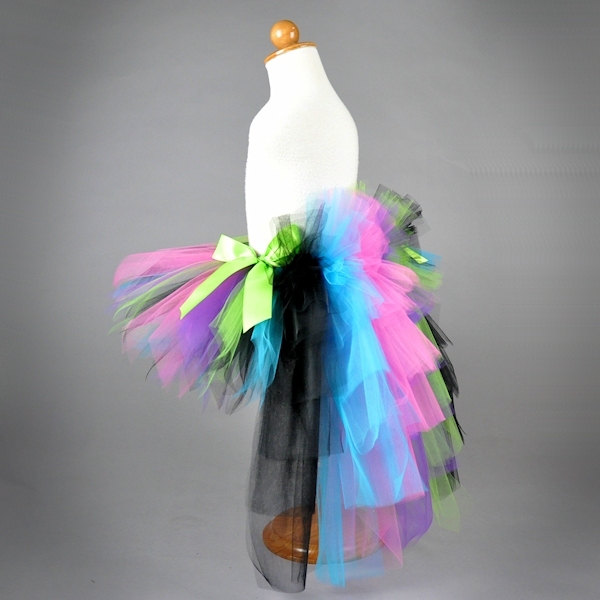 The Rock Princess bustle tutu features black, turquoise, bubble gum pink, purple and lime green tulle. 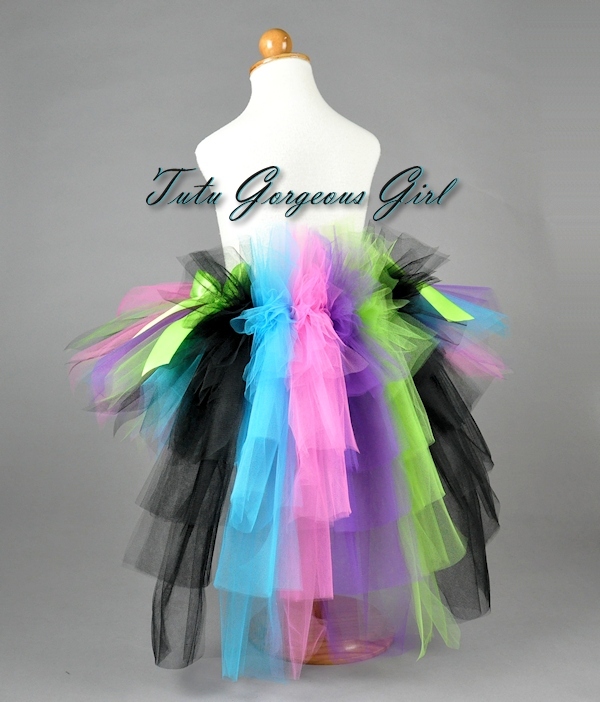 This is a fabulous tutu for a rock star Halloween costume, punk rock theme birthday or pageant tutu. 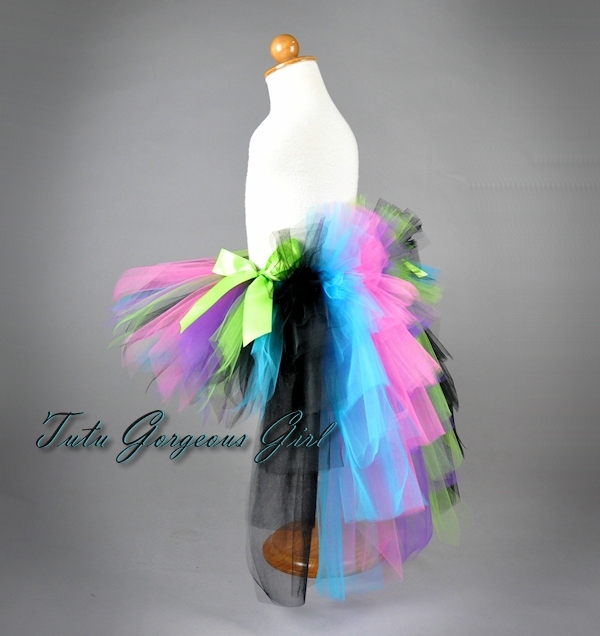 Bustle tutu includes two satin bows tied at each size of the bustle.